ARE THERE CRACKS TAKING OVER YOUR PARKING LOT? 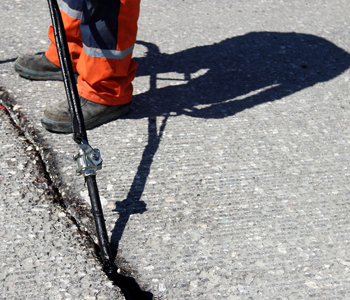 Although asphalt cracks seem harmless, they are actually quite the opposite. Over time, these cracks can completely move the foundation of your asphalt area and it’s up to you to stop this from happening. Not only do we provide you with crack filling services but you also have access to seal coating, and parking lot striping. When you take advantage of our full line of services, we know you won’t be disappointed. Take care of your parking lot or driveway to avoid hefty costs later on! When you choose to work with Lazer Sharp Parking Lot Services, Inc, you have access to a FREE estimate no matter what type of service you request. We ensure there are never any surprises on your bill. Providing the best crack filling services possible involves utilizing the best equipment in the industry. We have access to the latest equipment and supplies. You will always be satisfied with our work. Get the most out of our fully licensed company. We hold over 22 years of service on our side. 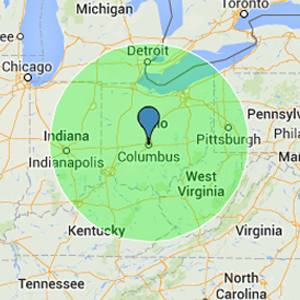 Call now to see if you reside in our growing service area. Diminish years of wear and tear with sealcoating. We have the ability to perfect any asphalt surface. We are available all day, every day, in order to meet your needs. Services areas are shown in green below. Trust Lazer Sharp for your ADA Compliant Marking, Asphalt Patching, Asphalt Repair, Mall Parking Lots, Pallet Marking, Seal Coating, Parking Lot Crack Filling, as well as Parking Lot: Marking, Repair, Restriping, Stencil Work, Striping, Striping Layouts. We preform Pot Hole Repair, repair Restaurant Parking Lots, perform Sealcoating, manage Shopping Center Parking Lots, implement Warehouse Safety Markings and Warehouse Safety Zone Marking, and much more. © 2019 Lazer Sharp Striping Inc; All rights reserved. Website Built and Maintained by Effective Global Communications, LLC.